One-on-one with Susan Orlando, the woman behind the Vivaldi Edition. Antonio Vivaldi and Susan Orlando. Yes it's altered. Original image © Naïve Classics, photo alteration by the author. "The Vivaldi Edition is realy big. It's made a big splash!" 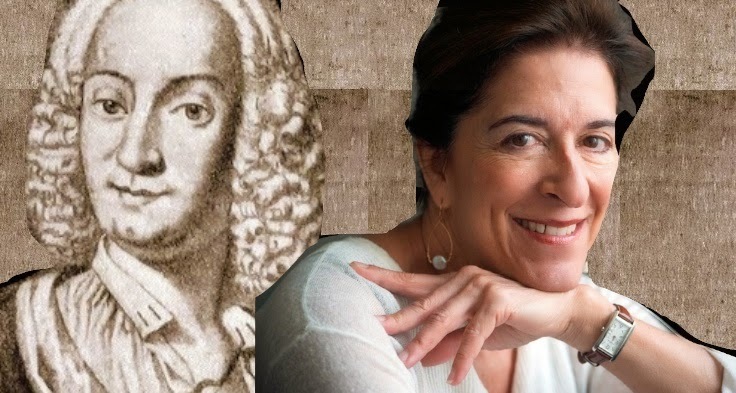 The speaker is Susan Orlando, director of the Vivaldi Edition, which releases complete recordings of the composer's operas on Naïve Classics. An American viola da gamba player who lives in Turin, Italy. she has been integral in showing listeners that there is far more to Vivaldi's vast output than The Four Seasons. Vivaldi, who lived and worked in Venice from (1678-1741) wrote ninety-four operas (counting pastiches. Just twenty of them have survived. "We are doing for Vivaldi what the Germans did for Bach in the 20th century," Ms. Orlando said in a recent telephone interview. "In Europe, we're well on our way. Opera Zurich is starting to do full staged versions of the operas. Aix-en-Provence is doing a Vivaldi opera. So we're starting slowly just as they did with Handel." The Philharmonic pairs Vivier and Bruckner. 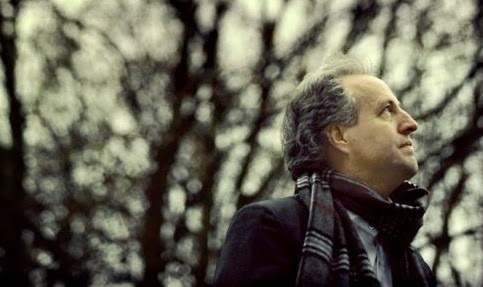 Manfred Honeck took over this week's Philharmonic program at short notice. Photo by Felix Broede © 2014 IMG Artists. 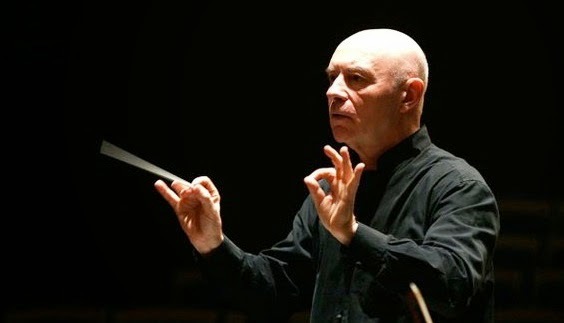 The sudden withdrawal of conductor Gustavo Dudamel this week caused consternation for the New York Philharmonic, who were suddenly presenting an ambitious program of music by Claude Vivier and Anton Bruckner without a conductor. However, the orchestra was able to secure the services of Manfred Honeck, the music director of the Pittsburgh Symphony Orchestra and the concerts went off as scheduled. To his credit, Mr. Honeck chose to leave the program unaltered. These concerts (heard Friday night at Avery Fisher Hall) paired Vivier's Orion with Anton Bruckner's unfinished Symphony No. 9 in D minor, the unfinished finale of that composer's career. These two big pieces were heard back-to-back, without intermission. The American Symphony Orchestra exhumes Max Bruch's Moses. Photo by Jito Lee © 2011 The Melos Ethos Festival. 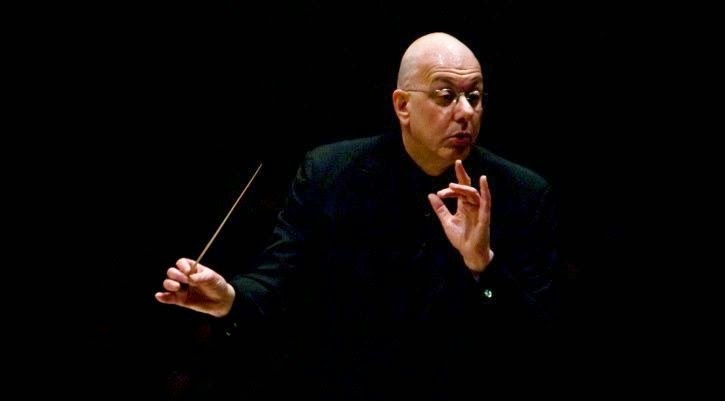 Since assuming the directorship of the American Symphony Orchestra in 1991, Dr. Leon Botstein has made it his mission to expose audiences to long-forgotten works of the 19th and 20th centuries. His latest discovery is Moses, a two-hour oratorio by Max Bruch, written in 1895 when the Romantic tradition was breathing its last. On Thursday night, Dr. Botstein led the ASO in this work, joined by the Collegiate Chorale and a trio of up-and-coming opera singers at Carnegie Hall. A rare revival of Strauss' elegant comedy. Ready for her close-up: Malyn Byckström in the title role of Arabella. The Metropolitan Opera has not revived Richard Strauss' Arabella since 2001. As the classical music world celebrates the composer's 150th birthday, this handsome Otto Schenk production returns under the baton of Washington National Opera music director Philippe Auguin. La Sonnambula rouses a tired Metropolitan Opera season. in the Metropolitan Opera's revival of La Sonnambula. 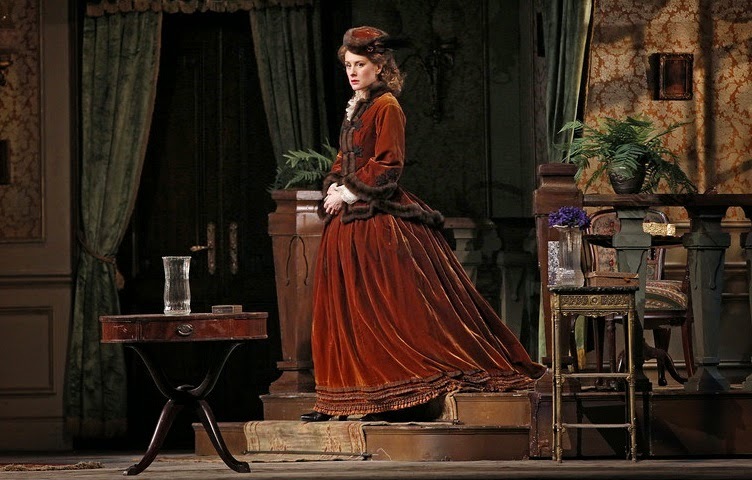 The Metropolitan Opera's revival of La Sonnambula, (seen Tuesday night) might be the double espresso that this company needs to make it to the end of this largely somnolent opera season. Mary Zimmerman's warm-hearted, "insider" production (set in a pre-gentrification lower Manhattan rehearsal loft as an unnamed opera company rehearses an upcoming production of La Sonnambula) features two stunning bel canto leads. More so, this show offers a commodity that is all too rare at Peter Gelb's opera company these days: a genuine sense of happiness upon leaving the theater. Gustavo Dudamel cancels at the Philharmonic. 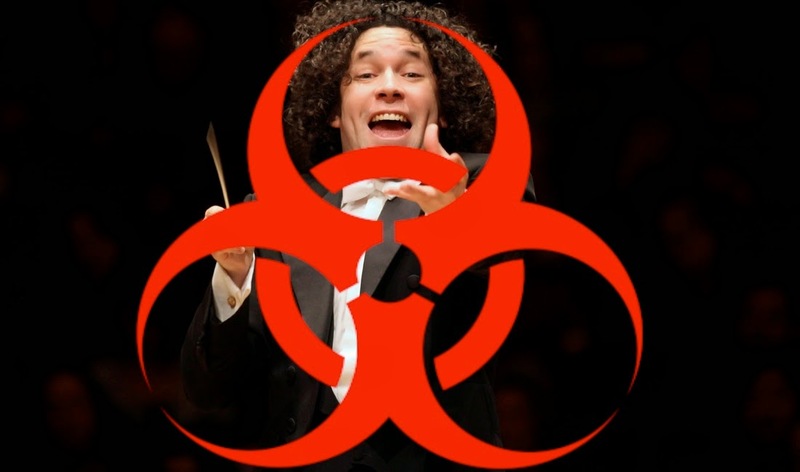 Gustavo Dudamel has the flu. As indicated by the added biohazard symbol. Original photo by Chris Lee. Conductor Gustavo Dudamel has cancelled his appearances with the New York Philharmonic this week due to a severe case of the flu. The conductor was scheduled to lead the orchestra in three concerts this week at Avery Fisher Hall. The announcement came this morning from the New York Philharmonic press department. Jeffrey Kahane returns to the New York Philharmonic. 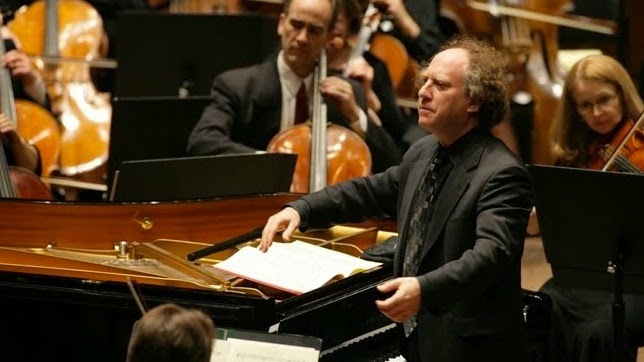 The pianist Jeffrey Kahane returned to the New York Philharmonic this week. In the years between the two World Wars, the last, dying gasps of tonal music and the rise in popularity of American jazz created a climate where composers engaged in fearless and sometimes furious experimentation. It was as if they knew disaster was coming, and that it was time to get all their good ideas down on paper before the world plunged back into darkness. This week, the New York Philharmonic offered a carefully curated program of lesser-known major orchestral works from Maurice Ravel, Kurt Weill and George Gershwin. The program, conducted by Jeffery Kahane (who also served as piano soloist) searched for common ground between these three composers, offering listeners Ravel's flashy post-Impressionist virtuosity, Weill's post-Mahlerian sturm und drang view of Wiemar Germany, and the jazzy sounds of Gershwin's New York. 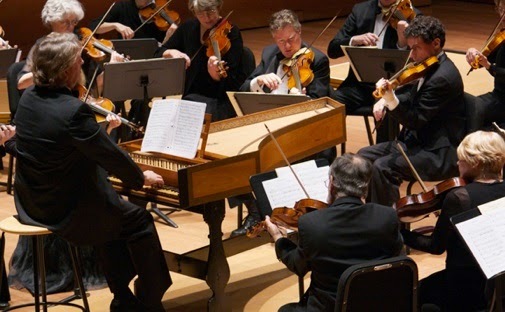 The American Classical Orchestra unearths Handel's Alceste. Old school: Thomas Crawford directs the American Classical Orchestra from the keyboard. Photo © 2014 The American Classical Orchestra. Digging deep into the catalogue of a major composer can prove rewarding for both musicians and their audience. That was the case on a rainy Wednesday night at Alice Tully Hall, where the American Classical Orchestra performed the final program of HandelFest a four-concert program celebrating the music of Georg Frederic Handel, Britain's favorite German musical import. Yuja Wang takes on the "Rach Three" at Lincoln Center. 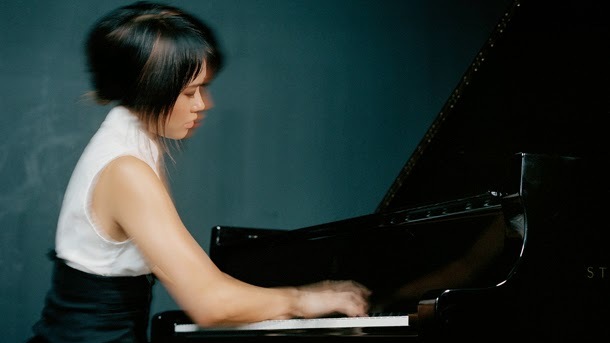 Her hands are a blur: Yuja Wang. Photo by Felix Broede for Deutsche Grammophon. © 2014 Deutsche Grammophon/Universal Music Group. In the city of Los Angeles, star power is everything. And for Monday night's concert at Avery Fisher Hall by that city's Los Angeles Philharmonic, the wattage was bright indeed. 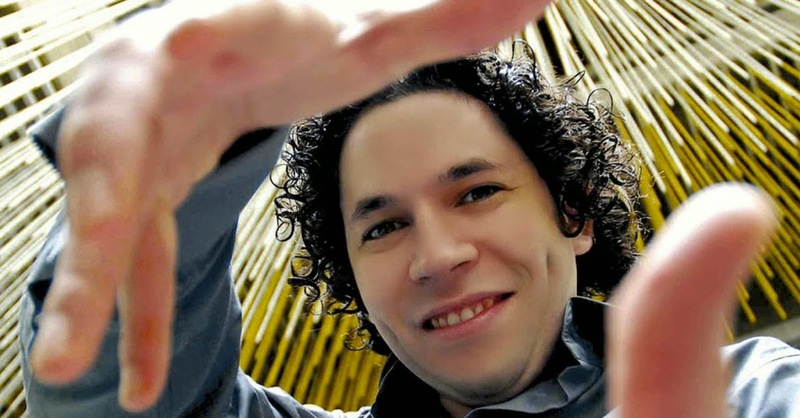 At the controls: conductor Gustavo Dudamel, the hotshot Venezuelan who has been compared (mostly in Deutsche Grammophon press releases) to classical music's equivalent of Elvis Presley. The featured soloist was Yuja Wang, whose prestidigitations at the piano easily outshine her predilection for slit skirts and high heels as concert attire. 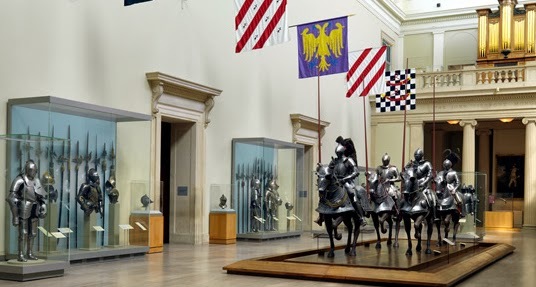 The Met revives Giordano's chilling tale of the French Revolution. 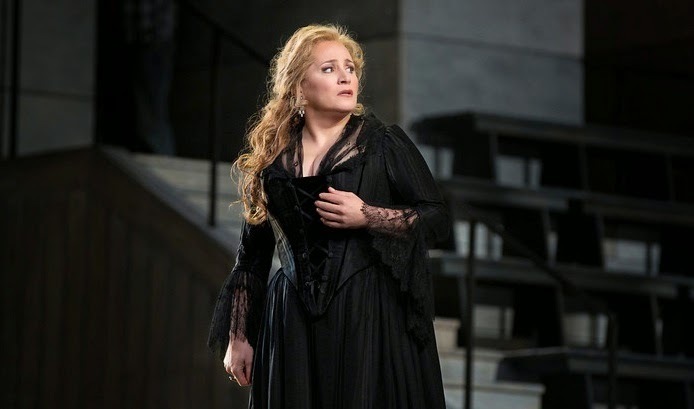 Patricia Racette as Maddalena de Coigny in Andrea Chenier. Photo © 2014 Metropolitan Opera, courtesy Press Department. Marcelo Álvarez and Patricia Racette star in Umberto Giordano's potboiler set against the bloody backdrop of the French Revolution. It chronicles an ill-fated love-triangle between an idealistic poet, an aristocratic lady, and Gérard (Zeljko Luçic) a member of the Revolutionary Tribunal. If it's done right, Chénier can be an unforgettable theatrical experience as the lovers climb to the guillotine in a kind of Italian Liebestod. The Vienna Philharmonic bids farewell to the City of Dreams. Vienna: City of Dreams comes to a riotous end at Carnegie Hall. Photo by Steve J. Sherman © 2014 courtesy Carnegie Hall. The Vienna Philharmonic drew the curtain on Carnegie Hall's three-week Vienna: City of Dreams festival with a massive Sunday night concert featuring a sweeping survey of that city's disparate musical history. Spanning from the choral music of Mozart to the 20th century experiments of Webern and Korngold, the orchestra players showed their affinity for dance music, opera, operetta, orchestral music, and even atonality in a sprawling program that at least, never proved dull. The inspired choice for leading this program: former New York Philharmonic music director Zubin Mehta, a beloved figure in this city. The Los Angeles Philharmonic returns to Lincoln Center. Speaks with his hands: Los Angeles Philharmonic music director Gustavo Dudamel. Photo by Luis Cobelo © 2014 Deutsche Grammophon/Universal Music Group. The return of conductor Gustavo Dudamel to New York is always a momentous occasion. Sunday's concert with the Los Angeles Philharmonic at Avery Fisher Hall featured two heavy-weight symphonies that stand one century apart: the Symphony No. 1 of New York composer John Corigliano and Tchaikovsky's Symphony No. 5., a perennial audience favorite. Outside, a small group of protestors congregated to remind concert-goers of the dangerous conditions in Mr. Dudamel's native Venezuela. Inside, the conductor and his orchestra had other concerns. The Vienna Philharmonic perform Schubert and Mahler. The Vienna Philharmonic returned to New York last week. But last night was the concert where the venerable orchestra, currently in the midst of Vienna: City of Dreams a three week celebration of all things Austrian at Carnegie Hall finally played at a level equal to their stellar international reputation. It might have to do with the two works programmed: Schubert's two-movement Symphony No. 8 in B minor (known popularly as the Unfinished Symphony) and Gustav Mahler's Symphony No. 4. Alan Gilbert and the Philharmonic continue The Nielsen Project. Composer and conductor. 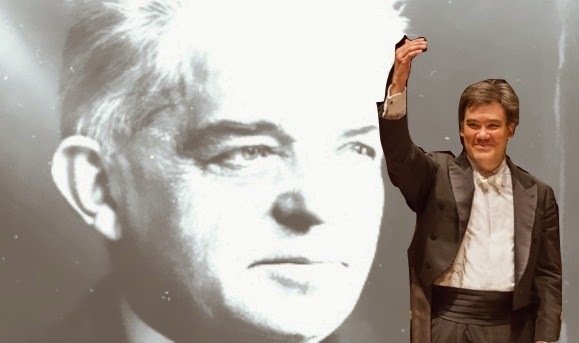 Carl Nielsen and Alan Gilbert. Photo of Mr. Gilbert by Chris Lee © 2014 The New York Philharmonic. The task of expanding an orchestra's regular symphonic repertory is at once the joy and the burden of a music director. In the case of the New York Philharmonic's Alan Gilbert, currently in the middle of recording the complete orchestral works of the Danish composer Carl Nielsen, it is definitely the former. This was the third of four concert series being recorded for release on Da Capo Records. Dubbed The Nielsen Project, the series will conclude next season with the last two symphonies. The Vienna Philharmonic plays Haydn and Brahms. 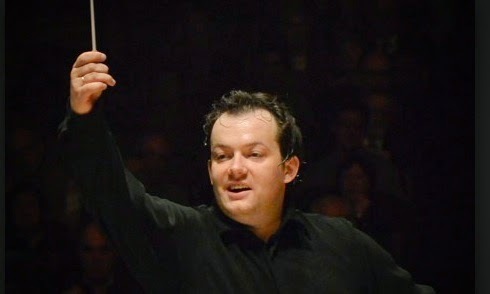 Statue of Liberty play: Andris Nelsons. Photo by Stu Rosner © 2013 Boston Symphony Orchestra. The Vienna Philharmonic is known for its unique orchestral sound, idiosyncratic choice of instruments and general conservatism in its choice of repertory. On Thursday night, the famed orchestra returned to Carnegie Hall for the first of three concerts wrapping up this year's Vienna: City of Dreams Festival. The program was one to bring joy to the average concert-goer, an unadventurous combination of Haydn and Brahms. Riccardo Muti and the CSO record Otello. 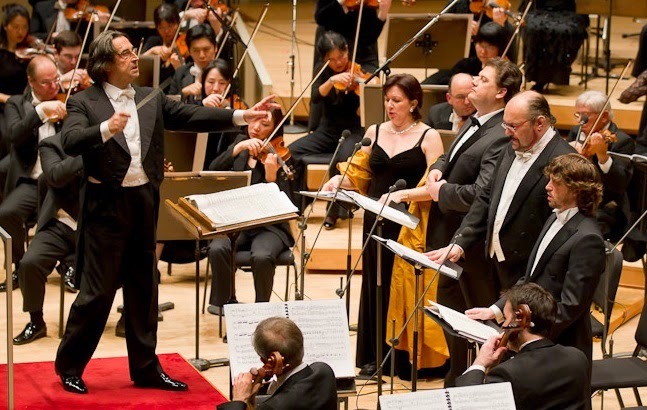 In concert: Riccardo Muti (on podium) conducting Otello at Orchestra Hall in 2011. 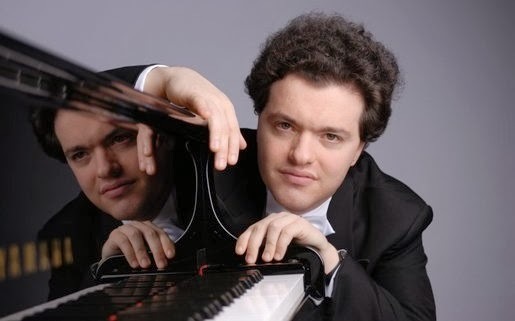 Evgeny Kissin plays Schubert and Scriabin. Evgeny Kissin. Photo by Sasha Gusov. Since making his concert debut in Moscow at the age of 10 in 1981, the pianist Evgeni Kissin has astonished listeners with his prodigious technique, playing a wide repertory centered on the Romantic repertory. On Monday night, Mr. Kissin returned to the stage of Carnegie Hall with a program that bridged the beginning and end of that era, juxtaposing the mature music of Franz Schubert and with early works from Russian composer Alexander Scriabin. 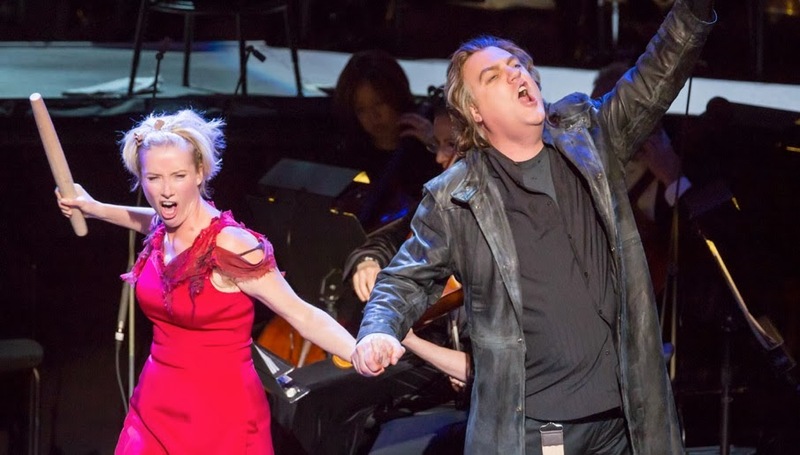 The New York Philharmonic revives Sweeney Todd. Savories: Emma Thompson (left) and Bryn Terfel serve up "A little priest"
in Sweeney Todd: The Demon Barber of Fleet Street.Photo by Chris Lee © 2014 The New York Philharmonic. The audience never saw it coming. When the lights went down in Avery Fisher Hall for the final performance of the New York Philharmonic's concert production of Stephen Sondheim's Sweeney Todd: The Demon Barber of Fleet Street, the stage looked set for a typical and staid gala in the usual manner of this venerable orchestral institution. Charming floral arrangements sat in pedestal vases at the wings. Alan Gilbert and the cast entered in neat evening wear, filing to music stands past an enormous concert grand downstage. They carried scores in neat binders, as if about to sing some Mendelssohn oratorio or perhaps Handel's Messiah. A trail-blazing impresario who put directors first. 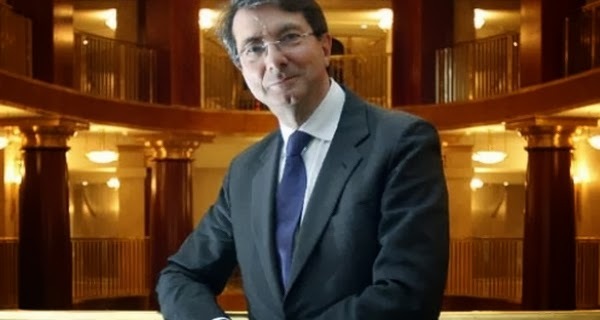 Gerard Mortier at the Teatro Real in Madrid. Image © 2012 Teatro Real. Gerard Mortier, the Belgian opera impresario and director who carved a unique and controversial path through four major European opera houses in the course of a long international career, died yesterday from pancreatic cancer, the New York Times reported. Mr. Mortier was 70 years old. Diana Damrau wakes up this bel canto classic. 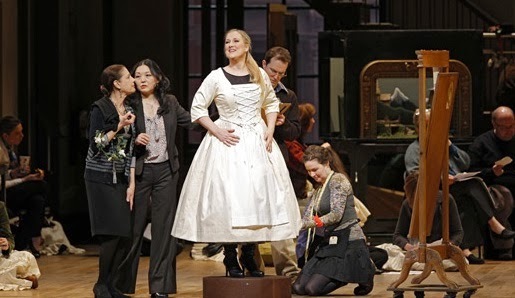 Sleep walkin': Diana Damrau (center) stars as Amina in La Sonnambula. The Metropolitan Opera is presenting three Bellini operas this season. The second of them is La Sonnambula, the composer's most light-hearted work and the only Bellini work that could in any sense be called a comedy. It is the story of Amina, the titular sleepwalker whose nocturnal wanderings make the people of an Italian village suddenly believe in ghosts. Matthias Goerne's surprise Wozzeck at the Met. 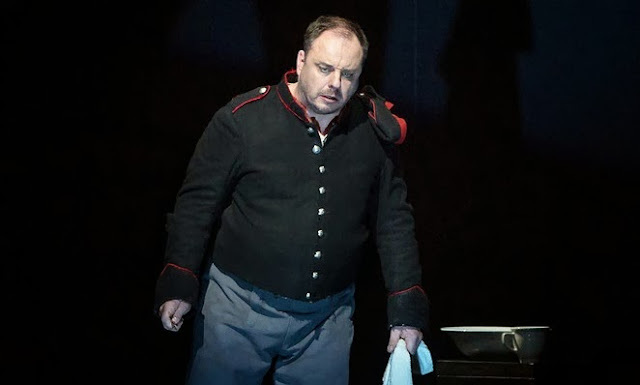 He knows where his towel is: Matthias Goerne in the title role of Wozzeck. 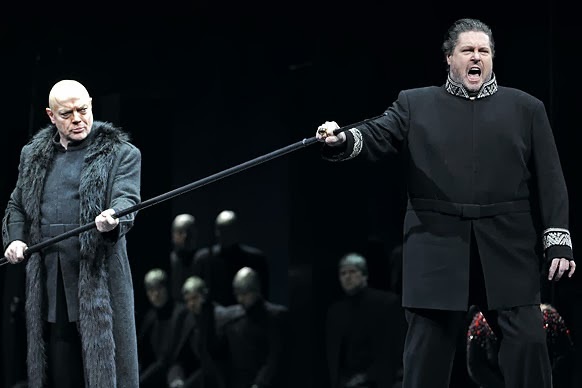 At 2:10 yesterday afternoon, the Metropolitan Opera announced that Thomas Hampson had withdrawn from Wozzeck. Mr. Hampson's substitute would not be the scheduled (and already contracted) cover, but baritone Matthias Goerne. Mr. Goerne, who has sung the title role to acclaim at other houses, was in New York to sing a lieder recital at Carnegie Hall on Wednesday night. Smoke signals went up on the Internet, and a hastily written press release was slipped into thousands of copies of Playbill. Trouble ahead as the Met gets ready to negotiate new union contracts. A chilling vision of things to come. Auditorium photograph © The Metropolitan Opera. Bender © Matt Groening/30th Century Fox. Juxtaposition by the author. 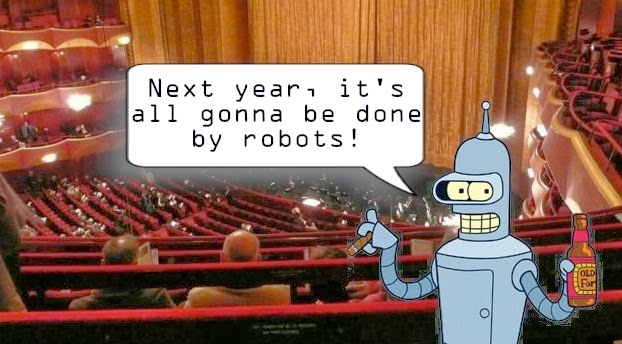 As the Metropolitan Opera sends out its subscription renewal packages and schedule for the 2014-15 season, opera goers in New York may have to face the reality that this coming may be completely or partially cancelled. The cause, a possible lockout of major unions by Metropolitan Opera general manager Peter Gelb. Mathias Goerne steps in for Thomas Hampson in Wozzeck. 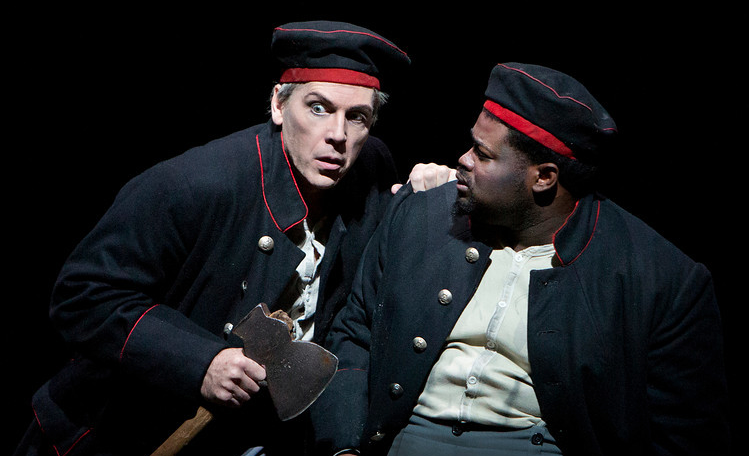 Getting the axe: Thomas Hampson has withdrawn from tonight's Wozzeck due to illness. Matthias Goerne will sing the title role in Berg's opera. The Metropolitan Opera has a major casting change in tonight's first season performance of Wozzeck: the title role. Christian Thielemann is the star of this new Vienna Ring. basis for the new CD cycle conducted by Christian Thielemann. Any recording of Wagner's Der Ring des Nibelungen is a major artistic statement. When you're the Vienna State Opera, whose orchestra members recorded the first studio cycle of the operas (as the Vienna Philharmonic under the late Georg Solti), that statement must be of the utmost profundity. After all, the "Solti Ring" from 1958-1964 remains the industry standard for opera recordings and stereo demonstration, and features an all-star cast from the silver age of 20th century Wagner singing. Berg's blood-soaked psychodrama returns to the Met. Deborah Voigt and Thomas Hampson make their role debuts in Wozzeck March 6. Thomas Hampson makes his first appearance in the title role of Wozzeck, the story of a soldier whose lowly life is nothing but suffering. Deborah Voigt appears as Marie, his perpetually unfaithful common-law wife. 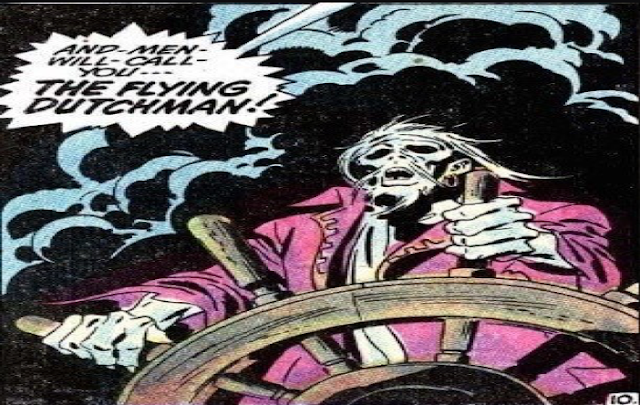 (Neither artist has sung these difficult roles before.) James Levine is scheduled to conduct these performances.